Theme: Hi-Lo, graphic novels, illustrated, Shakespeare, classics. This series features classic Shakespeare retold with graphic color illustrations. Educators using the Dale-Chall vocabulary system adapted each title. 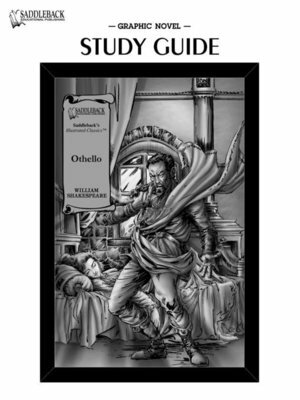 Each 64-page, book retains key phrases and quotations from the original play. Research shows that the more students read, the better their vocabulary, their ability to read, and their knowledge of the world. Containing 11 reproducible exercise to maximize vocabulary development and comprehension skills, these guides include pre-and post-reading activities, story synopses, key vocabulary, and answer key. The guides are digital, you simply print the activities you need for each lesson.